As 2018 draws to a close it is hoped that the uncertainty surrounding ‘Brexit’ and the effects on Camposol expats and homeowners that will be affected by the decisions made and agreed in Westminster and Brussels will be made clear and the sense of limbo that has prevailed will be consigned to history. 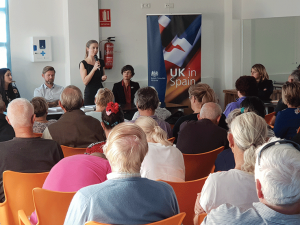 The ‘Brexit’ issue and its future consequences were the subject of an open meeting on 13th November at the Camposol Social Centre, held by the British Consul, Sara Jane Morris. 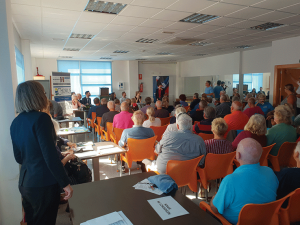 Also in attendance were the Vice Consul for this area Sara Munsterhjelm, the British Embassy Brexit specialist, the Mazarrón Mayoress, Deputy Mayor and staff from the Town Hall plus the Expats in Spain Association, local charities and a contingent of Consular and legal staff. The crux of the meeting was to provide as much information to expats as possible, so they can make an informed choice about their future. The overriding message was to make as big an administrational ‘footprint’ in Spain as possible. In the first 20 minutes of the meeting, the Consul and Brexit Specialist explained the importance of being ‘legally registered’ in Spain and ensuring correct registration for the Residencia, Padrón, Health System, Driving Licence and other documents. 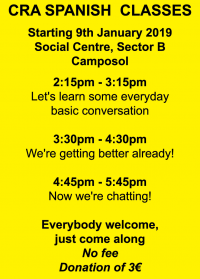 After that, those present were invited to talk individually with the various representative in order for assistance to be provided for all the issues and problems that differed from person to person. It was also pointed out that a large amount of contradictory and sensationalist news was being published in the media which was misleading and confusing. The only point of information which is true and issued directly from the UK Government can be found on the www.gov.uk website entering ‘UK nationals in the EU: essential information’ or ‘/guidance/living-in-spain’ in the search box. It is also possible to sign up for ‘email alerts’ and be the first to know when new information is posted. 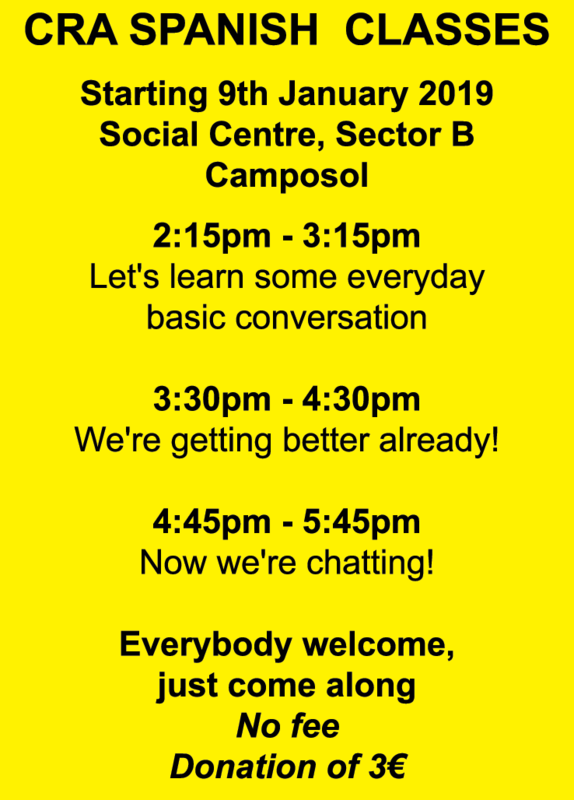 During the meeting the Mayoress also announced that a Council representative would be situated in the Social Centre again in the next 2-3 weeks. 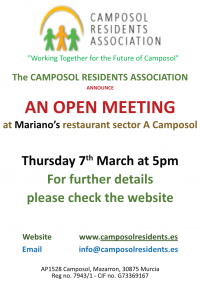 After the Brexit meeting, the CRA committee had a meeting with the Consul, Vice Consul and staff to discuss the current situation on Camposol; future contact with the national Delegate for Murcia; the President of the CHS (Rivers Authority) and Mazarrón Town Hall on the agenda and it was agreed that pressure would be applied in all avenues until the upcoming local and regional elections start to dominate the political landscape. Another meeting with the Regional Delegate and CHS President is being planned for January. The Consul did suggest that the CRA approaches all the prospective parties in the local election to secure promises. The committee assured her that it was already being actioned. 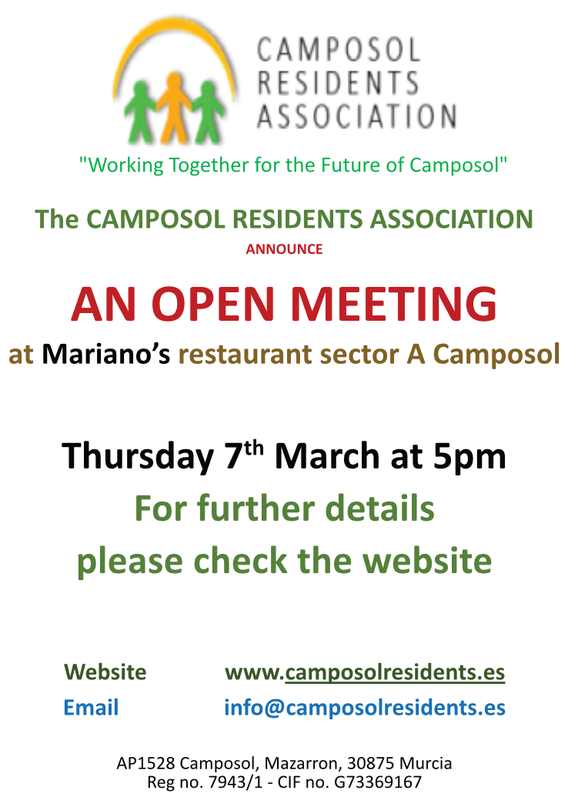 The CRA Committee would like to wish the Association members along with all Camposol and Mazarrón residents and visitors A very Merry Christmas and a Happy, Prosperous and Peaceful New Year.